Waterproof is not a feature of AQUA+! Can I still use the headphone mic while connected with AQUA+? 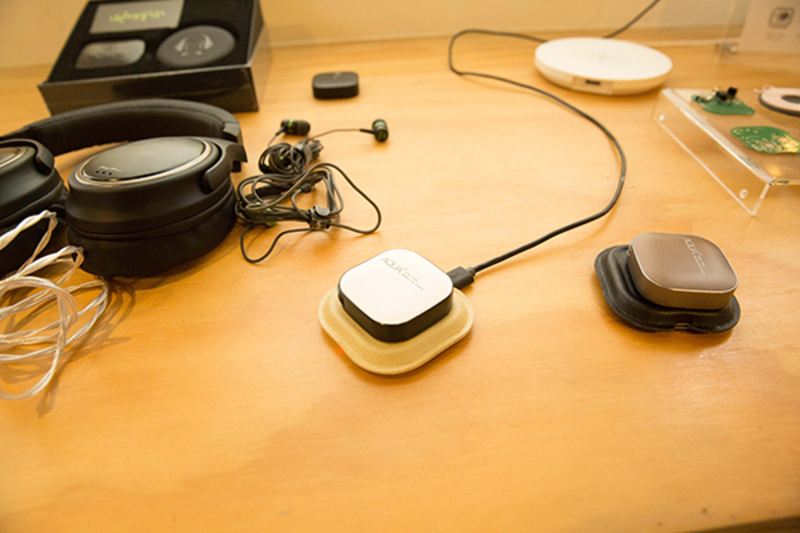 The headphone mic and wire control will not work while connected, but AQUA+ has a built-in mic and can perform wire control functions with the keys on the device. Can wireless headphones/earbuds work with AQUA+? 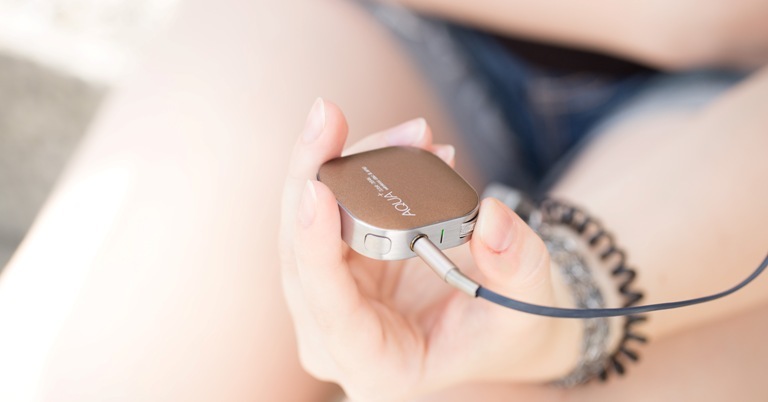 AQUA+ is designed for headphones with 3.5mm jacks and is unable to support wireless headphones. What is the frequency response rate for AQUA+? How does the 16bit to 32bit work? 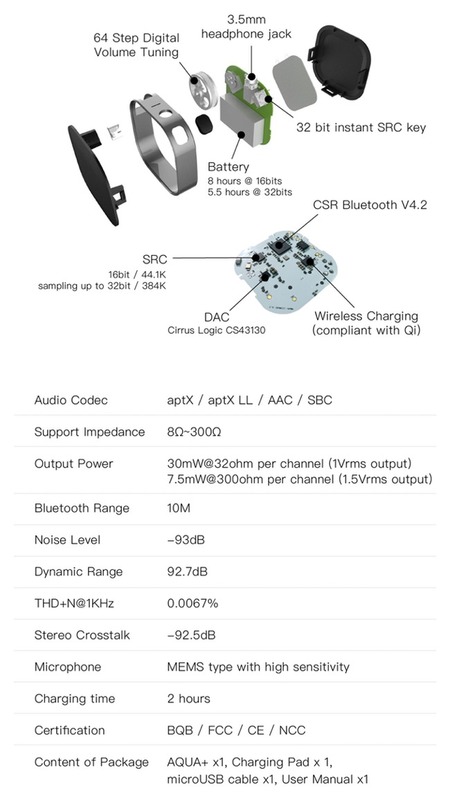 All audio formats will be decoded by your output device to PCM and then transcoded to aptX, AAC or SBC via Bluetooth audio (16bit) to AQUA+. 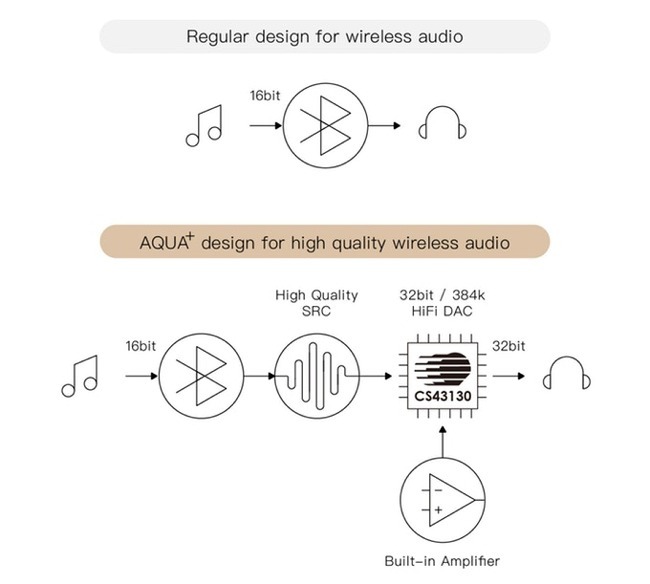 Then AQUA+ leverages its 2 embedded chipsets, high-quality SRC & Ultra Hi-Res DAC, to convert to 32bit. AQUA+ can play for 8 hours @ 16bits / 5.5 hours @ 32bits on a full charge. Are there issues of delay when using AQUA+ for videos? AQUA+ has been optimized and improved to reduce the delay issues, so there will be no problems with watching videos. We've tested AQUA+ to watch Youtube clips, connect to Apple TV and other OTT boxes to play games or watch movies and have not experienced any problems of delay in sound. 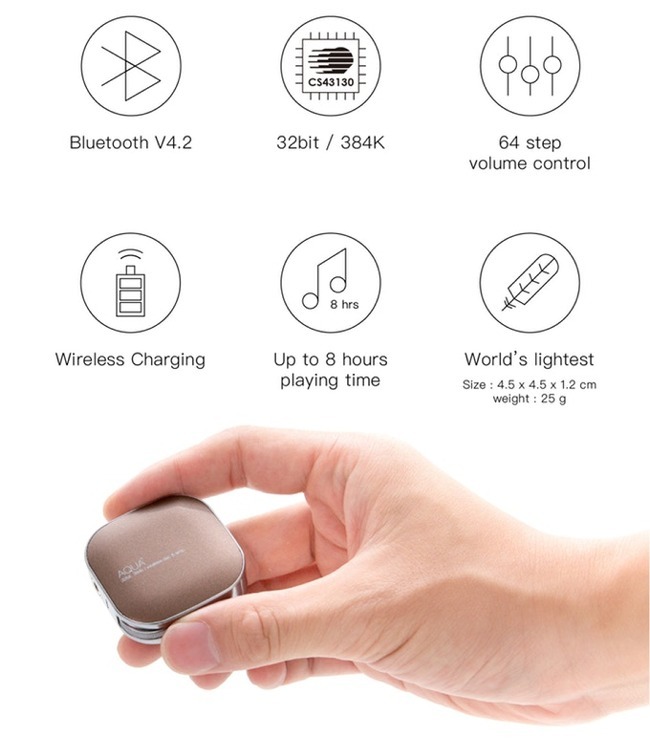 The Qi is a wireless charging standard and the AQUA+ 3w wireless charger also adopts this standard. Other Qi standard chargers can be used to charge AQUA+ and the AQUA+ charging pad may also be used to charge your phone but will take longer. How do I update for bluetooth firmware? It is not necessary to upgrade firmware for AQUA+.